It is a special party at Angie’s place this week as the Novice Gardener’s Fiesta Fridays weekly potluck party completes one year since it began! What a lovely journey it has been. This has been the most enjoyable blogger’s party ever, and Angie is so good at making it THE BEST. Check out the link if you haven’t already for gorgeous food ideas, and if you’re a blogger, join us! 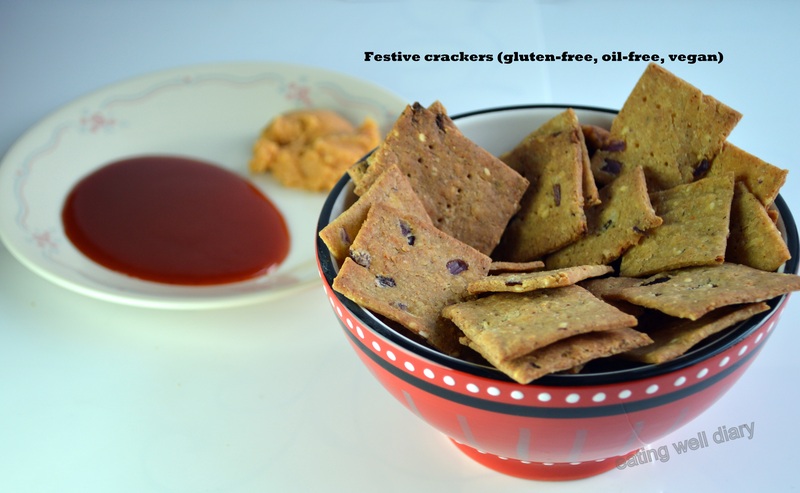 This week at Fiesta Friday Anniversary part 1, we all bring appetizers and I have got some really irresistible and guilt-free crackers. Filled with healthy stuff like psyllium husk (see my earlier post on this) and cashews (yes, I know, I put cashews in everything!) and completely devoid of oil. I do hope our lovely co-hosts Hilda @ Along The Grapevine and Julianna @ Foodie on Board love these as much as I do. 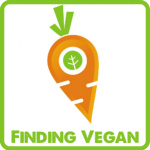 Also linking this up at the Virtual Vegan Linky Potluck Part 28 hosted by Poppy and Angela. psylliium husk- 1 1/2 tbsp. finely chopped onion pieces- 1-2 tbsp. 1. Preheat oven to 350 °F. Combine flours, cashew meal and psyllium husk in a bowl. Add salt, baking powder. 2. Add finely chopped onions, sesame seeds. Slowly add water while mixing by hand to form a firm dough. 3. Using a silicone mat and wax paper, roll out with a rolling pin into a sheet as thin as you can get it. Use a pizza knife to make squares and make holes with a fork. 4. Place on a baking sheet lined with parchment paper. Bake for 18 minutes (rotate tray once, halfway). 5. Check if all the pieces are fully baked. If the thickness is not even, some tend to be still soft. You can bake them a little longer after removing the crisp ones. 6. Store in airtight container and enjoy! Love love love these crackers. 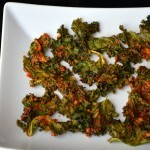 another of your recipe added to my list after those pretzels. I do hope you try these, Sonal! such a healthy treat!! Loving it ! There are many things I am not able to master in the kitchen, Prudy. But crackers are one of those I am able to make easily, so I’m capitalizing on that so far! 😉 Thank you. 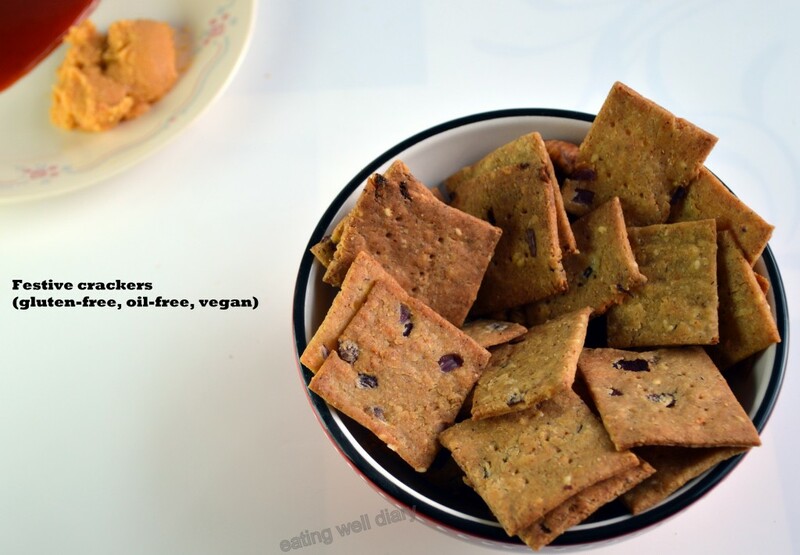 These crackers look delicious…I’m quite envious of how perfect they look too! Cashew powder/meal is super easy to make and versatile too. Do let me know when you try it, Srividhya. Omg! All goodies and no oil…cant imagine there can be anything like this .. But you have proved it yet again! thanks so much, Rupa. Glad you like these! Thank you, Indu. I’m sure you will not be disappointed when you try them. Brilliant! I can see this going down a storm at the party and in the blogosphere! They look so crispy too! Thanks so much, Selma. I always try to take the best things for our FF parties. I feel it has become part of my life now! 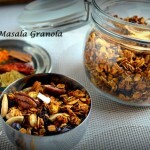 Wow, love all the healthy ingredients Apsara, awesome! 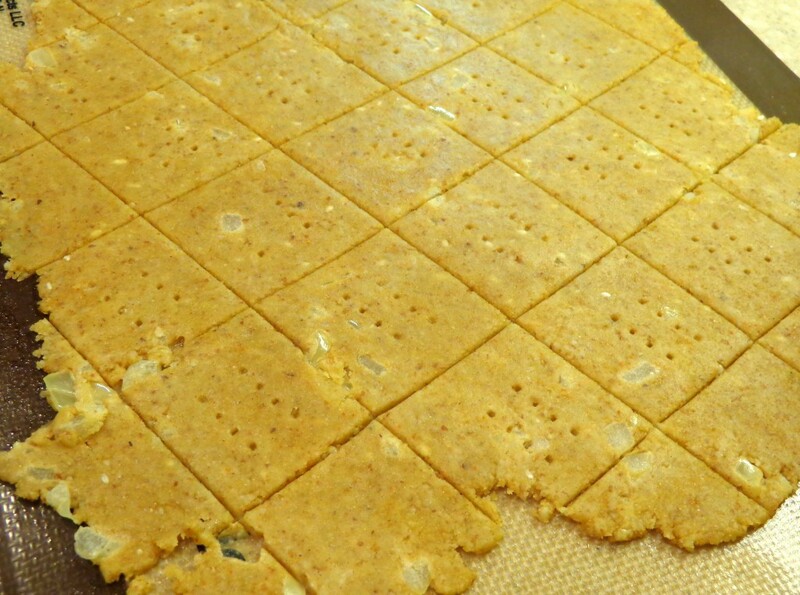 I always like to learn a new idea for making crackers, as I don’t like to buy them – homemade ones are just so much better. This looks like another winning recipe from your kitchen. These look amazing, Apsara. I love your website, full of inspiration!